Just reminding readers that although some posts, at times, resemble quasi-eulogies, reminisces (see for example 1,2,3 or 4) or halachic quandaries, the main purpose of pitputim is to provide personal catharsis. Hits, ads or any variegation are of no interest. Comments are useful when something is learned, corrections are made, or its ריתחא דאורייתא. Indeed, no “audience” is fine. Spectators are not a motivation. That being said, a record of thoughts, for the benefit of offspring dawned on me more recently. 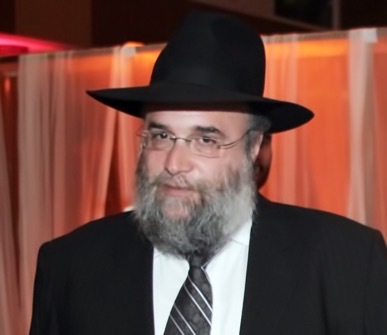 Chaim New ע’’ה was a quintessential, non archetypical, unique, Chasid of Chabad. — the word may be used to show a strong moral repugnance. What is obscene? I’m referring to the choice of מי יחיה ומי ימות. Trembling, moaning these words, while leading davening as שליח ציבור made them no less awesome or spine-chilling. Each year (at Elwood Shule, where I was prevailed to function as בעל תפילה after the passing of full-time celebrated Chazonim) there was a sense of real terror, especially following Unesaneh Tokef . מי בקיצו ומי לא בקיצו. “Who should leave at their time, and who should leave not leave at their time”. What does it mean “not at their time”. It is a concept that in a Godly sphere is impenetrable, on a logical plane. Chaim New left this world. I do not understand or accept reasoning. Curiously the feeling was that if the שליח ציבור davened ברדת ובזיעה, with shock and awe, God might be swayed and people would be granted longer life. This is undoubtedly true of some who lead services, but it is so easy to mistaken one’s self-importance to think that Hashem actually can’t see the less than convincing charlatan שליח ציבור (which is how one tends to view oneself over time). My family will testify that I took this (some will say) too personally, and as described elsewhere, perhaps irrationally blaming myself every time another Holocaust survivor left the Shule to a higher abode. I miss them all so much. They were Elwood Shule, where I davened regularly for most of my life. Only last night I spoke to the son of a now departed member, an ex-survivor, who said that “when I have a hard week, I have to sleep in on Shabbos, so I rarely make it to Shule these days”. I thought to myself: your father not only left ירושה when he came penniless, but he worked harder, went through more, and still came to Shule. This son is already a good guy. I like him. He is one who feels guilty if he doesn’t come to Shule on Shabbos. Kudos to him and to the education his father left him. Most of todays congregants don’t feel any commitment, and the twenty plus regulars on a shabbos at Elwood stand as a sad Matzeyva for what once was. But this is the obscenity. Chaim wasn’t a survivor. Chaim wasn’t old. Chaim went to Shule daily. Chaim had shiurim regularly. Chaim did Chesed (as I was to discover) in a hidden way. Chaim was a great soul mate to Sheiny. Chaim was a great father. Chaim was a fantastic grandfather. Chaim was an incredible son and brother. Chaim was involved in a positive way in this world with all types of Jews. It is critical to record, and this hasn’t been said nearly enough: Chaim was nothing without his Sheiny (or Sheine Gittel as he called her, as a term of endearment). Sheiny is a truly remarkable lady, may she continue in this way until we are all swept to ירושלים on the wings of an eagle. She was his partner כפשוטו. Together, they built a home where the children astound me with positive character traits, warmth, care, and, incredibly, their sense of strength and continued purpose. Chaim, Sheiny and the kids were regular visitors to our house over many years. We watched the children grow. I do not know how they manage to plum the deep depths of strength they display, at the same time making the rest of us unwittingly realise that we are truly pathetic and inadequate by comparison. I am not known for חניפה (aggrandisement) and mean every word, above, במלוא המובן. A good friend in Chaim New ע’’ה was rudely removed in the last weeks. He was friends with more people than commonly known. This is a mystery. Chaim was intensely private. To talk on a truly personal level was a rare but occasional occurrence. What I do know, is that we shared, sometimes on the bench at green meadows park, and other times hiding to have a cigarette during a meal, and more. Davening Shacharis on that fateful Shabbos morning in Melbourne, the news was pervasively apparent in a matter of seconds. A thunderbolt. Words on the siddur started wobbling with some strange momentum of their own. Tefilla was remised. Nausea set in. Chaim and Sheiny’s children were coming to our house for lunch that day, and I rushed home to tell my wife. She was hysterical and in total disbelief. I felt numb. I didn’t know what to do, what to say, or how to stay calm, let alone deal with my disbelief. I shared countless shots of whisky with Chaim over the years, and I now needed to escape into a hole that I could not find. I went back to Shule, finished Shacharis, and realised that my concentration was hopelessly impaired. I was enveloped in a trance. My wife went immediately to the New household to lend support. Perhaps obscenely, I had just received some very special whisky. Looking up at my wife, I exclaimed, this is exactly the type of whisky I would have shared with Chaim. I made Kiddush on the whisky, adding the obligatory herring and tzibbeles that he knew he would always get at our house, and was only able to retreat to my room, lie on the bed, and stare at the ceiling. Time seemed to meander. I tried to divert my attention by reading. Nothing I picked up penetrated: words were individual disjointed letters that refused to meld. The process of memory recall set in. In parallel, I felt sick in the pit of my stomach for the situation that our friend Sheiny had experienced, having just also lost her father, rising from Shiva. My father passed away some three years ago, near the time Sheiny’s mother passed away—from the same illness. We had shared sorrow. This sorrow was another level of hell. Once, Chaim confided to me that he always felt pangs of guilt. He was so proud of his brothers. They were, at the time, wrestling to set up successful Chabad Houses. He and I were sitting at his desk behind his Mac. He was attempting to convince me of the beauty of English classical music through his Bose speakers. English composers did not appeal to me, I insisted. He tried to introduce me to various other composers, but I wasn’t budging. For me, the depressing and haunting sounds of Russian composers, like Rachmaninov, were on a higher plane. He liked those too. Maybe it was my penchant for morbid struggle expressed through classical music. During Elul, Chaim listened to Chazonus. He said it was important to leave that “other world” and enter the Cantorial world of Kedusha for Tishrei. In those days, I was a regular at his desk. He needed my help with his Mac. He was proud—very proud— and always apologised for calling me out. I, of course, had no problem helping out, in the early days as he set up his familial IT infrastructure. As time marched on, Chaim worked things out for himself and I only got the very occasional call for an opinion. Chaim liked to work things out for himself. It was during those times that he sometimes let down his guard, and said things which he might not normally have done. I know he trusted me, but he kept things very close to his chest, in general. He had inherited some of the traits of “Malchus” that I saw in his grandfather R’ Isser Kluwgant ע’ה. At the same time, unlike R’ Isser, he was earthy and a thrill seeker. Some misunderstood his demeanour. I didn’t. Most people should exclaim “when will my deeds match or come close to those of my father”. Chaim had another burden. Burden is the wrong word. Responsibility is a more accurate term. Chaim felt that his brothers were the real Chabadniks because they were Shluchim and pioneers. He lived in comparative luxury, and I know that he felt unnecessarily “guilty”. Ironically, he had no reason to feel guilty. I watched as he carefully oversaw the needs of his brothers and then some. I watched as he created movies for special occasions as well as chronicling and restoring pictures. He hated cables. Everything had to be neat and wireless. I too am a voracious picture collector. I knew exactly where he was coming from. He was a kindred spirit. I watched as he tended to his parents’ needs, especially as they got older. I identified with all that. At the same time, I had an army of people to oversee my parents’ needs. I was working long hours, and always knew I wasn’t doing enough. Chaim, however, despite his schedule, dropped everything and was around the corner helping his father with the computer and more, any time. We used to exchange stories of our father’s entanglements with modern technology and laughed together. We both enjoyed a good scotch or five. He had his Nat Sherman cigarettes, and I sufficed with an e-cig. We’d sometimes meet on the park bench at green meadows park half way between our houses. I urge nobody to put a cigarette in their mouths. It’s a drug. Chaim loved to read. I think the last book he borrowed from me was Rabbi Dr Norman Lamm’s PhD thesis on Tanya vs Nefesh HaChaim. I warned him that it was a very hard read. That didn’t deter him. A few months later, he was still reading it and mentioned with a smirk that he had a dictionary next to the book, and that it was a masterpiece. I didn’t share his thrill seeker nature. His motor bike always scared me. I’d tell his wife Sheiny that she had to stop him. She shrugged her shoulders and said she’d tried many times. He’d proudly tell me how he got members of his “ruffian” Jewish bikies group to put on Tefillin. He was performing his duty even as he haired down winding roads at speeds that make me dizzy. Above all, we enjoyed each others company because of mutual respect. He knew I was remote from Chassidus because I felt it was somewhat abstract for my uber logical disposition. He would retort that it was logical. I would say it was meta-physical. We’d go back and forth. When he and his beautiful family would come for a Shabbos meal or vice versa, Chaim always had a Lubavitch Vort from Chassidus. I, of course, would respond with something from the Rav, Rav Soloveitchik. Chaim would say they were the same thing in the end. Often he was right. Other times, he’d like a different perspective. There was one memorable occasion, when we lived in Lumeah Road, and he and Sheiny and the kids undertook the long trek to our house. It was also nostalgic for him, because the New family lived directly across the road, bringing back memories in which he regaled. We always had a loooong lunch, with plenty of Tamdhu, Herring and Tzibbeles, and all was good. One Shabbos, it must have been about 5:30pm and I said that we’d better head off to Mincha. I agreed I’d walk with him to Yeshiva rather than Katanga around the corner. We both realised, once the blood was voraciously circulating during our walk, that we were somewhat “light on our feet”. We passed Mizrachi Shule on Balaclava Road. Suddenly Chaim said “stop, I need to go in”. I pleaded with him not to do so. I knew his guard was down, and he’d likely say things that he wouldn’t ordinarily utter. It was to no avail. I waited at the gate of Mizrachi for what must have been 20 minutes before he emerged with a large grin on his face. He said he’d “assailed” two of his father’s long-term friends and told them that compared to Lubavitch they were not doing anything of value for the community. When we caught up later, he told me, with a smile, that one of his father’s friends had rung his father and described him as a drunken Lubavitch lout who had insulted Mizrachi values. Chaim wasn’t perturbed. He had actually said what was on his mind. In life, he kept most if not 99% of things inside. I can’t help but think that this level of concealment had to contribute to stress. Chaim loved my band Schnapps. He was not a dancer, that is, he wasn’t even a good dancer. He was an awkward shuffler. He’d stand on the side watching Schnapps’ musicians intensely. When he got my attention, I knew exactly what he wanted. He pined for a good solo. It was Chaim, so I always obliged. The joy on his face was palpable. He loved class, and he appreciated excellence. He was also a quintessential feinschmecker. Ironically, last night, we performed some incredible solos with some great Jazz overlays. I find it hard to write on this topic. I had three attempts, and could never “finish”. I’ve only scratched the surface. יהי זכרו ברוך and he will be מליץ טוב for his family and כלל ישראל. He will be united with the Lubavitcher Rebbe, whom he loved so much. The void that the Lubavitcher Rebbe’s passing induced, was something that affected Chaim acutely, and in private conversation, he expressed this to me, many a time. Beautiful heartfelt words Isaac. I got to know Chaim quite well from working with him on Yeshivah committee. I came to like him a lot. He could always get to the point of any issue and express an intelligent view forcefully – but never dogmatically. He could be persuaded to different views as well. Never shied away from dealing with any tough issue. He is already sorely missed. You would have spent some of the most difficult moments with him. You’d know.